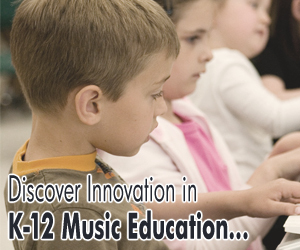 MusIQ Lab’s Children’s Music Journey is featured in the August 2009 issue of Leading & Learning with Technology (L&L), the membership magazine of the International Society for Technology in Education (ISTE). From Learning Village: MusIQ Lab’s Piano Suite is a true learning experience for all users…one of the most sophisticated, comprehensive and useful learning programs we have seen. MusIQ Lab’s Piano Suite (Grades 3+) was recently awarded 2009’s Best Piano Lesson Software by Top Ten Reviews. Three 1st place awards for MusIQ Lab’s Children’s Music Journey Volume 1, Children’s Music Journey Volume 2 and Piano Suite Premier. Adventus Inc. has received two awards for its product submissions in the 2008 Creative Child Awards Program from Creative Child Magazine. MusIQ Lab’s Children’s Music Journey Volume 1 is a 2008 National Parenting Publications Award (NAPPA) Honors Winner! To sum up the whole package, I have to say that I’m very impressed on several counts. Firstly, the presentation is absolutely first rate and uses the computer-based medium to its best advantage. Secondly, the content is excellent. All the bases seem to have been covered and I can’t say that I spotted anything that I disagreed with on a professional basis. The range of pieces is wide (400+) and varied, so there’s something to keep everyone happy. Piano Suite is good, darned good. In fact, as a teacher, although I know it won’t ever replace me or my colleagues in the profession, it’s almost worryingly good! Highly recommended. MusIQ Lab’s Piano Suite has received ‘Best In Class’ Award from the renowned, International Society for Technology in Education (ISTE). Music and the Brain: How Important is Music to A Child’s Development?